COVENTRY - Stored energy from electric vehicles (EVs) can be used to power large buildings -- creating new possibilities for the future of smart, renewable energy -- thanks to ground-breaking battery research from WMG at the University of Warwick. Dr Kotub Uddin, with colleagues from WMG's Energy and Electrical Systems group and Jaguar Land Rover, has demonstrated that vehicle-to-grid (V2G) technology can be intelligently utilised to take enough energy from idle EV batteries to be pumped into the grid and power buildings -- without damaging the batteries. This new research into the potentials of V2G shows that it could actually improve vehicle battery life by around ten percent over a year. For two years, Dr Uddin's team analysed some of the world's most advanced lithium ion batteries used in commercially available EVs -- and created one of the most accurate battery degradation models existing in the public domain -- to predict battery capacity and power fade over time, under various ageing acceleration factors -- including temperature, state of charge, current and depth of discharge. Using this validated degradation model, Dr Uddin developed a 'smart grid' algorithm, which intelligently calculates how much energy a vehicle requires to carry out daily journeys, and -- crucially -- how much energy can be taken from its battery without negatively affecting it, or even improving its longevity. The researchers used their 'smart grid' algorithm to see if they could power WMG's International Digital Laboratory -- a large, busy building which contains a 100-seater auditorium, two electrical laboratories, teaching laboratories, meeting rooms, and houses approximately 360 staff -- with energy from EVs parked on the University of Warwick campus. They worked out that the number of EVs parked on the campus (around 2. 1% of cars, in line with the UK market share of EVs) could spare the energy to power this building -- and that in doing so, capacity fade in participant EV batteries would be reduced by up to 9.1%, and power fade by up to 12.1% over a year. It has previously been thought that extracting energy from EVs with V2G technology causes their lithium ion batteries to degrade more rapidly. Dr Uddin's group (along with collaborators from Jaguar Land Rover) have proved, however, that battery degradation is more complex -- and this complexity, in operation, can be exploited to improve a battery's lifetime. Given that battery degradation is dependent on calendar age, capacity throughput, temperature, state of charge, current and depth of discharge, V2G is an effective tool that can be used to optimise a battery's conditions such that degradation is minimised. Hence, taking excess energy from an idle EV to power the grid actually keeps the battery healthier for longer. "These findings reinforce the attractiveness of vehicle-to-grid technologies to automotive Original Equipment Manufacturers: not only is vehicle-to-grid an effective solution for grid support -- and subsequently a tidy revenue stream -- but we have shown that there is a real possibility of extending the lifetime of traction batteries in tandem. "The results are also appealing to policy makers interested in grid decarbonisation." 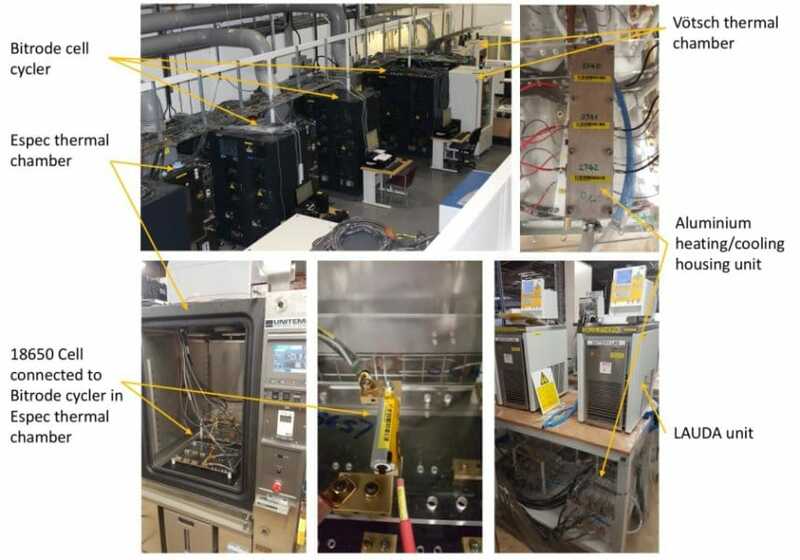 The research, 'On the possibility of extending the lifetime of lithium-ion batteries through optimal V2G facilitated by an integrated vehicle and smart-grid system' is published in Energy. It was funded by the Engineering and Physical Sciences Research Council and the WMG centre High Value Manufacturing Catapult, in partnership with Jaguar Land Rover.